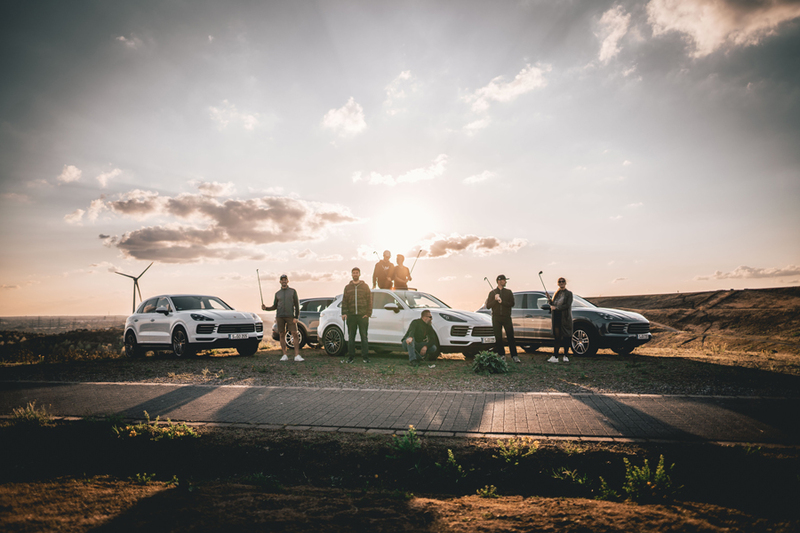 In general I’m not such a big car freak, but I had to take the opportunity to participate in a cooperation with Porsche Newsroom during a Crossgolf road trip with the new Porsche Cayenne. Right from the start, I really enjoyed the whole reason for this trip. I had never tried Crossgolf before, or Urban Golf, as others call it. 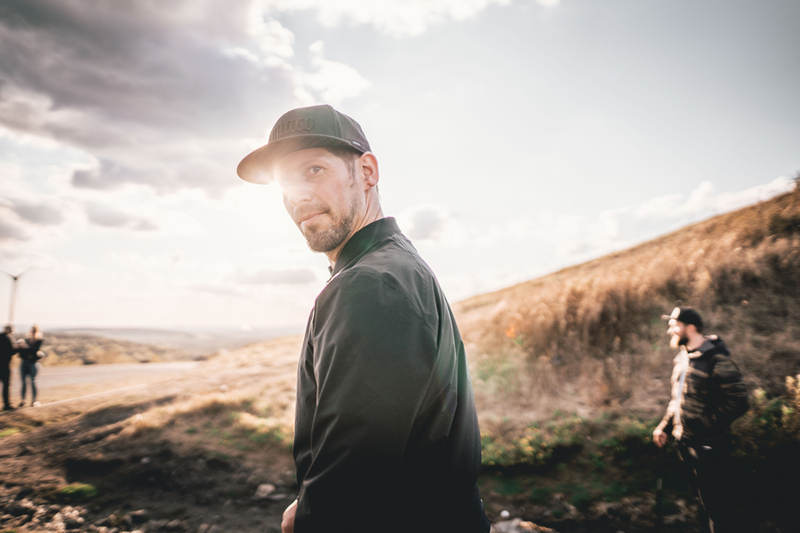 It sounded like a lot of fun to play the sport in collaboration with an awesome car and a fantastic group of people put together from the world of travel, fashion, lifestyle and photography. 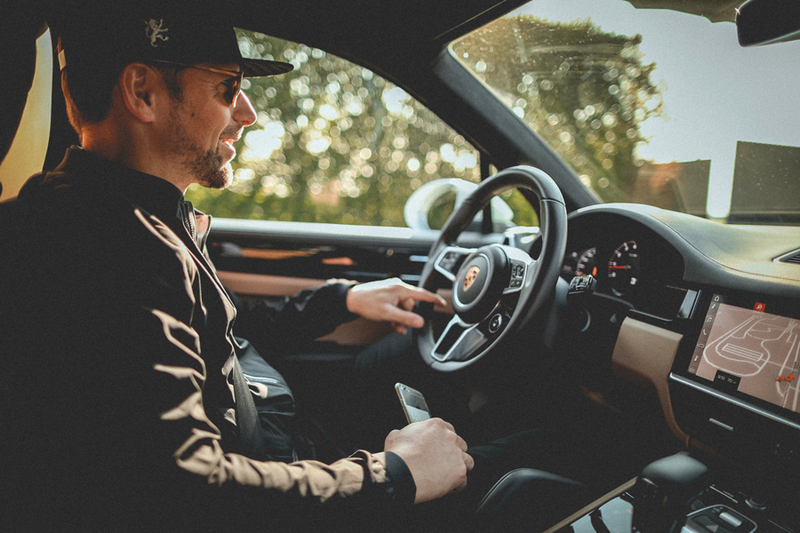 On the first day a visit to Porsche Leipzig was on the agenda. 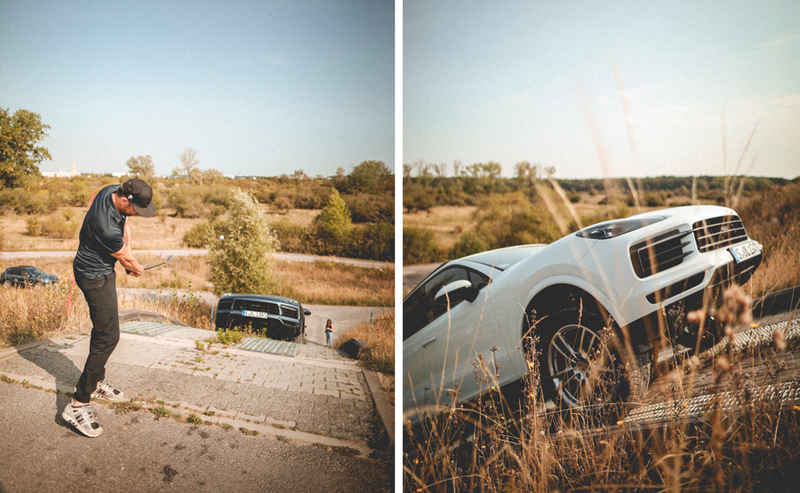 Here, on their in-house test track, we had the opportunity to put the new Porsche Cayenne through its paces. What impressed me most was the 80% gradient that the Cayenne mastered super easy. 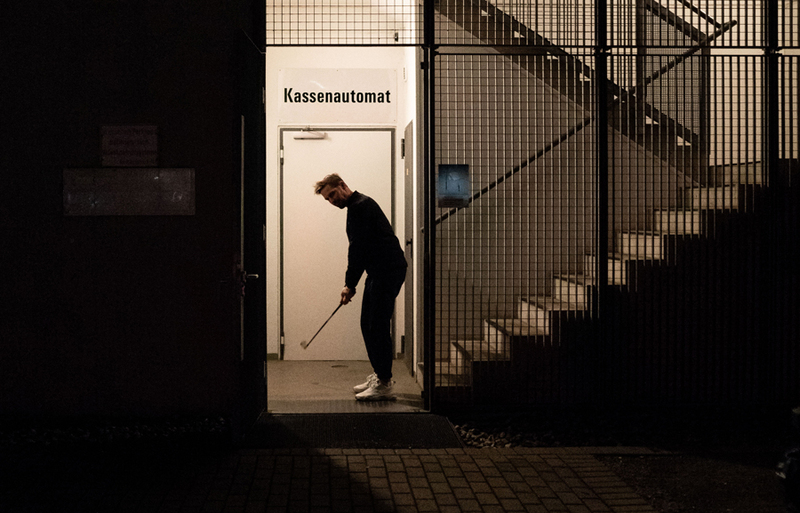 It was so cool to get our first instructions and rules about Crossgolf from Claudio Orlick of Urbangolfshop.de. Amazingly, there were even a few holes on the in-house test tack, I never thought it would be such fun in this unique surrounding. 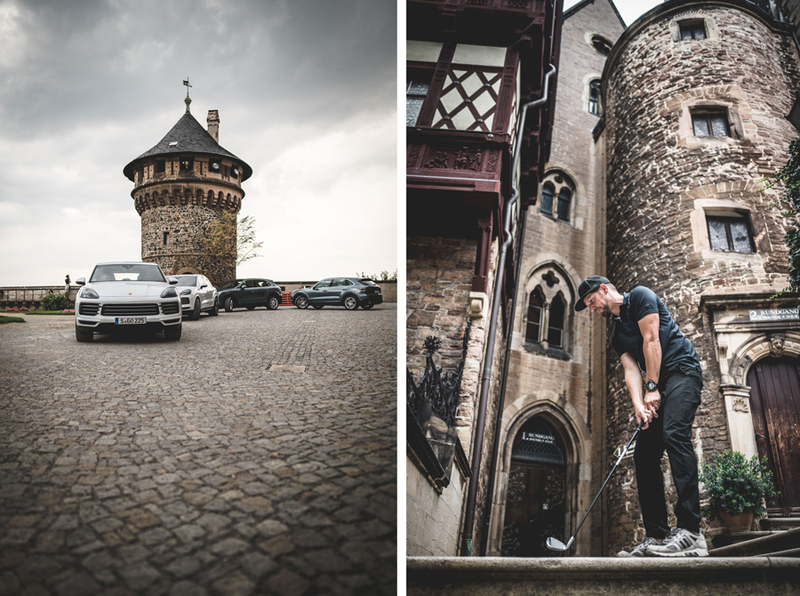 From the test area in Leipzig, we then headed to Schloss Wernigerode in the Harz Mountains. Ok, sorry, but the car trip there was an absolute dream. 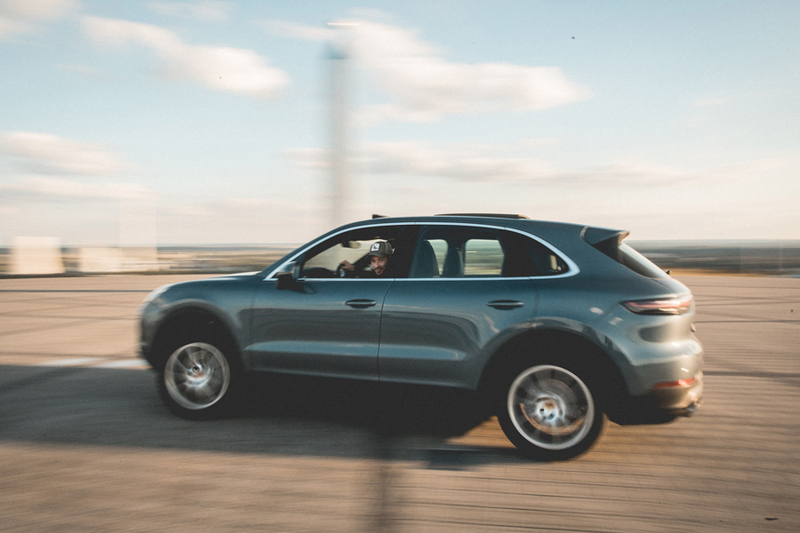 The Cayenne is not only brilliant off road, it is equally good on the Autobahn. Wow, this car drives like a bat out of hell. 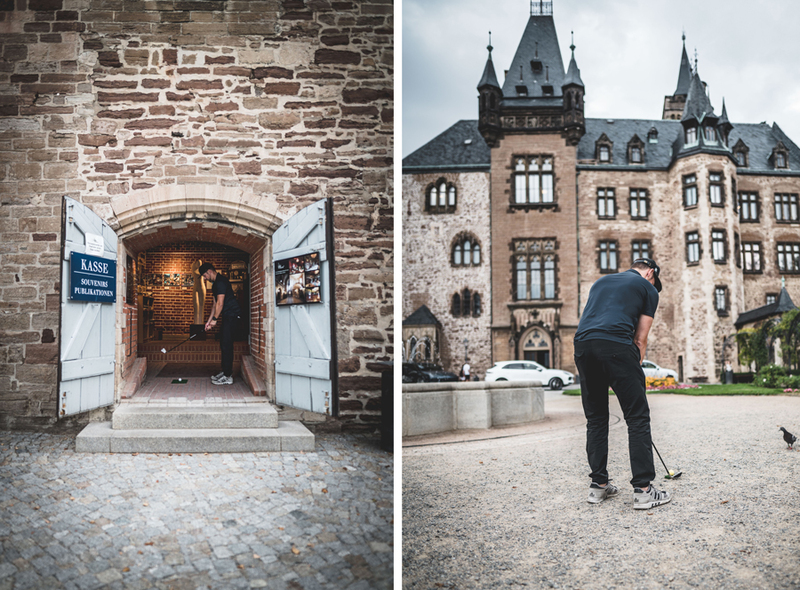 Arriving at Schloss Wernigerode we played our first actual holes of Crossgolf. 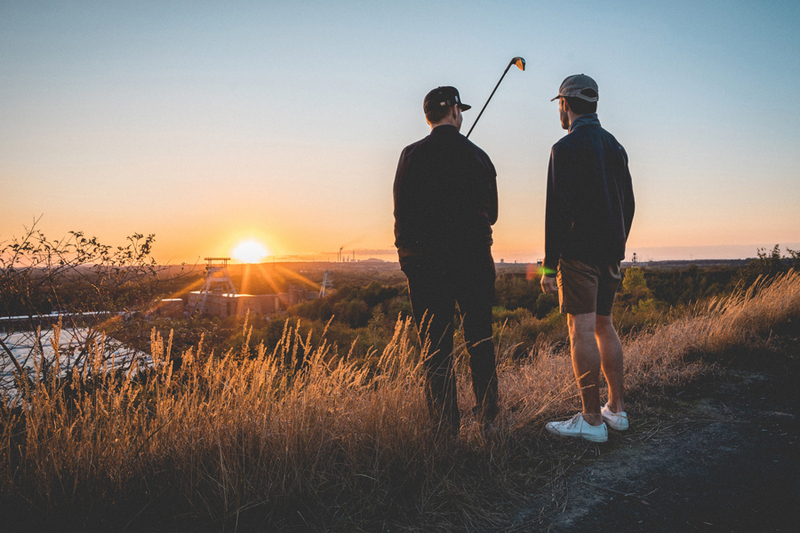 You could see, even after the first few holes, that Crossgolf is great training for your short game, the routine and most of all, your creativity. How does the ball react when I play it against the wall, should I lay up, or hit it into the fountain? Odd questions for golf, but why not?! Ok, you play a completely different ball. The ball is much lighter and softer for safety reasons. Moreover, as a real Crossgolfer you don’t use a putter or a driver. Drivers are actually not necessary because most holes are too short or are extreme doglegs. Plus, there are special targets like trash cans to aim for to improve your score. 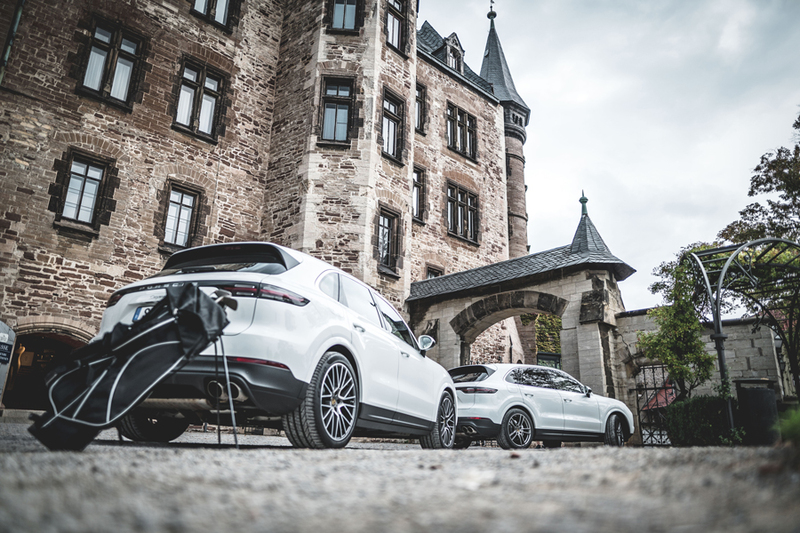 From the Schloss Wernigerode, there was another 200km joyride with the Cayenne to Hannover where the next morning the next course was already set out on the old Expo area. Once you have played a few holes you will for sure be looking forward to more!! 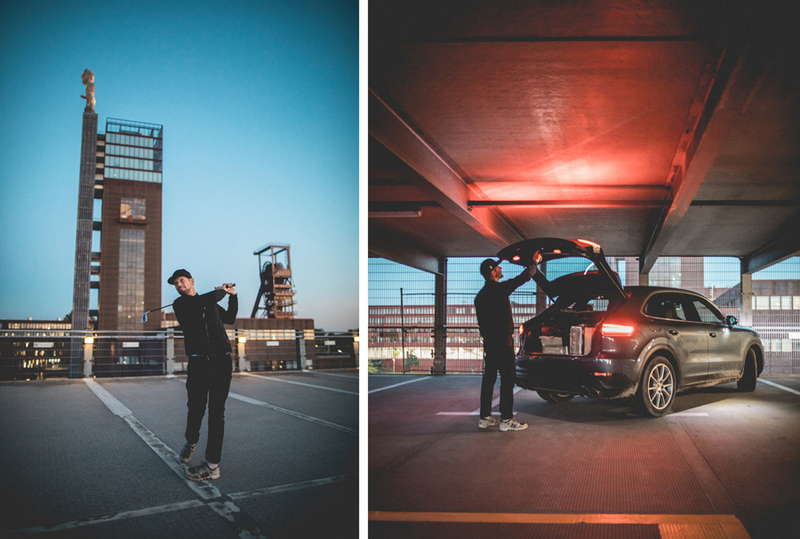 Epic tee-offs included shots from parking garages down to moving targets. It’s not very easy. I absolutely loved one hole. It was a small bridge with three Cola cans on it which had to be hit. Unfortunately I had to take a penalty here as you pick up after 10 strokes. 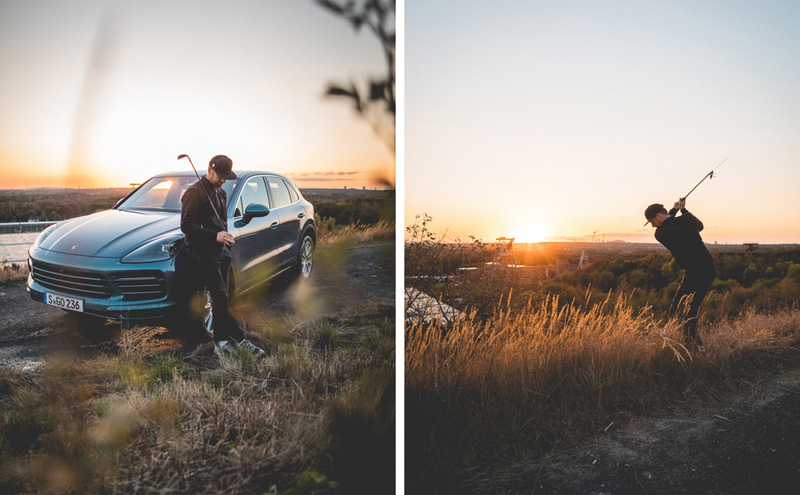 Well I know that I use the word often, but day two of our Crossgolf roadtrip through Germany was EPIC. I especially liked the trip to Gelsenkirchen again. A formidable car, comfortabe and spacious. 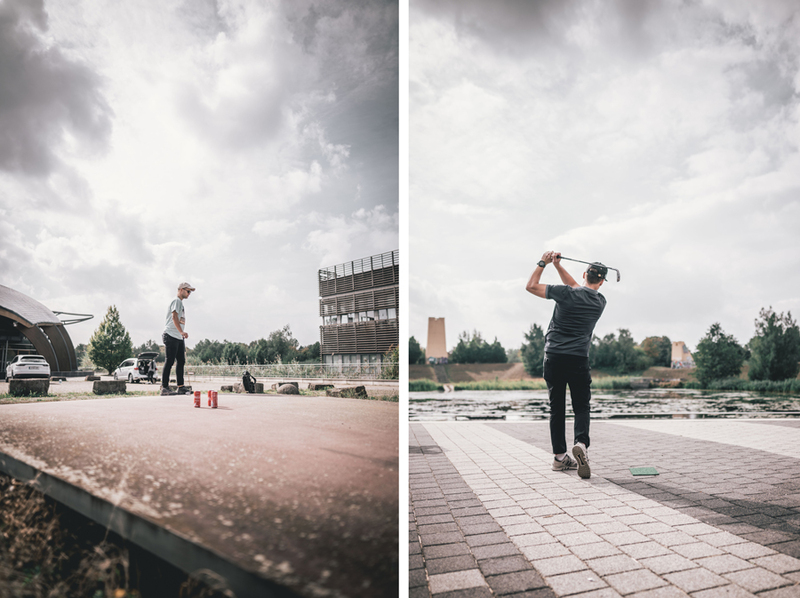 On day three in Gelsenkirchen we played our second round of Crossgolf of the day on the old Halde Hoheward. 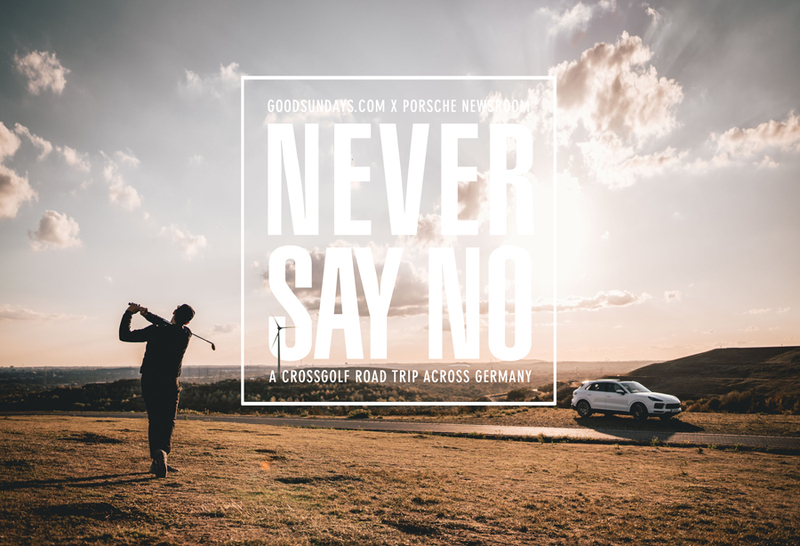 A great setup for Crossgolf and another chance to see more of Germany during our Crossgolf-Roadtrip with our Porsche Cayenne! We really had fantastic weather. I personally liked the courses on the Halde Hohenward best because they perfectly combined normal and Crossgolf in my eyes. Nice teeboxes with interesting targets. 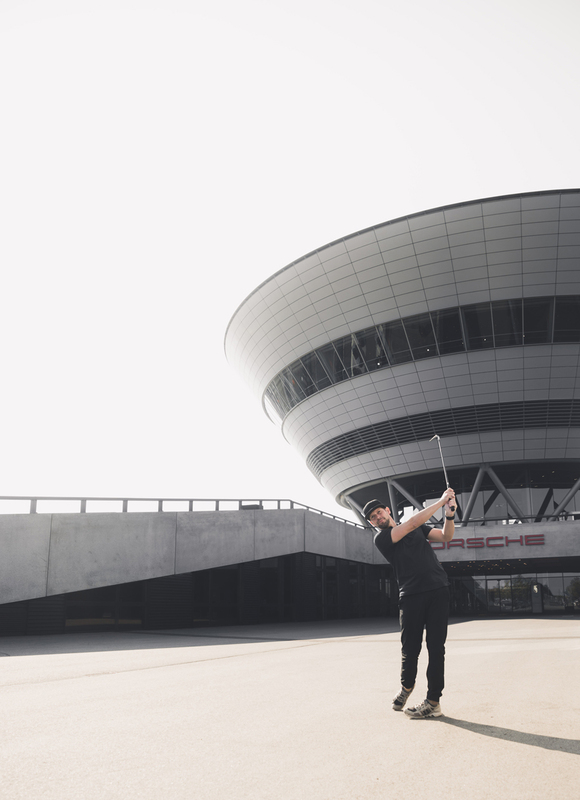 In general Crossgolf gets a bit tricky when the wind comes up, because the ball is much too light. Nothing compared to Scotland! 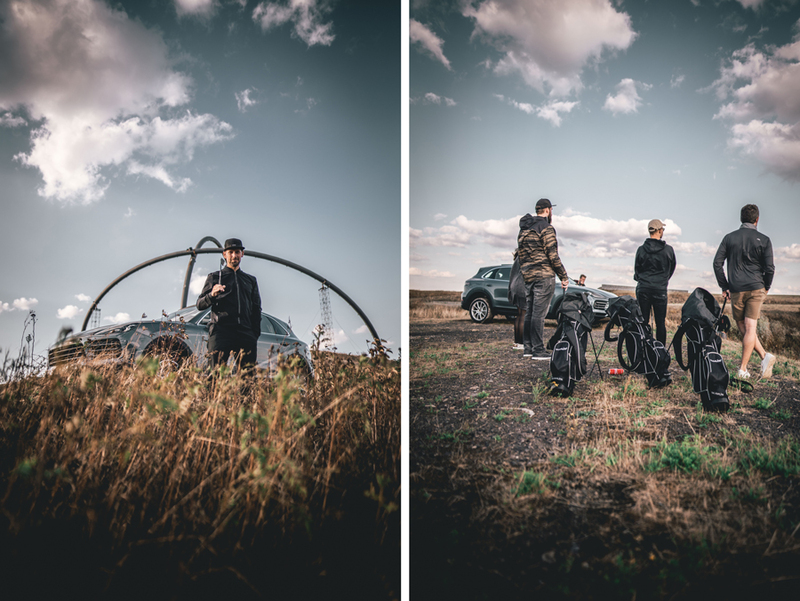 I found the Halde Hohenward the perfect place to describe even the cooperation and the story. 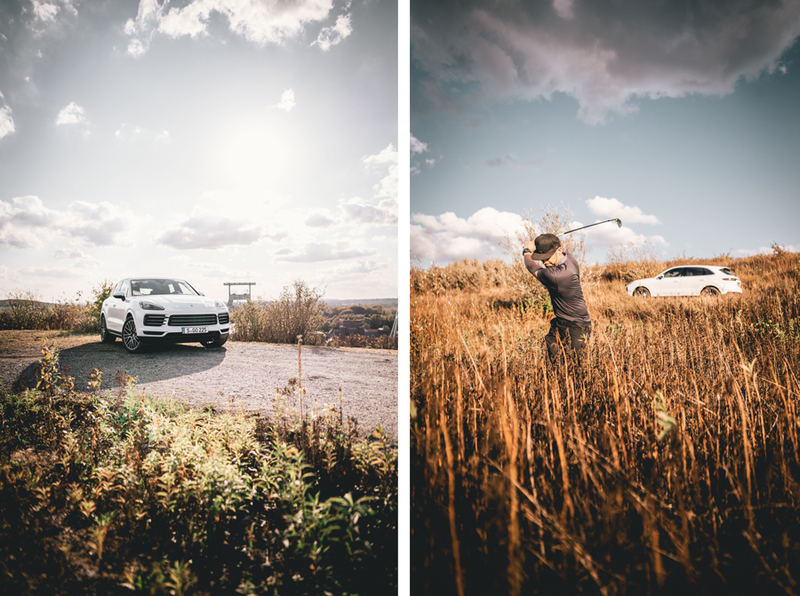 The car with all terrain capability, playing Crossgolf on all terrains. On my last evening the organisation team treated us to a little ‘candy’. A round of golf at night with luminous balls. Pretty fancy and to be truthful, rather entertaining. Unfortunately this was my last stop on our Porsche Crossgolf Road trip. To be honest, the new Cayenne is simply fabulous and an absolute driving pleasure. Too bad that I can only dream of doing all my golf trips with this car ! !